Crane accidents are occurring at an alarming rate. According to a report released by The Census of Fatal Occupational Injuries, there have been more than 600 crane-related deaths involving 610 separate crane accidents between 1992 and 2006. While there are several types of cranes used in construction and other industrial areas, fatalities are more prevalent in mobile crane accidents, truck crane incidents, tower crane accidents and gantry crane incidents. Due to their enormous size and weight, accidents that involve a crane will typically be devastating to the victim. There are many things that can go wrong, from everyday usage and faulty crane equipment, to poor maintenance or operator error. When this happens, you may be entitled to compensation for your injuries or for the death of a loved one involved in a crane accident. If a crane has injured you, contact a Houston crane accident attorney at Terry & Thweatt. Contact with Power Lines. A majority of crane accidents are caused by contact with overhead power lines. Close to 39 percent of all accidents can be attributed to crane booms, cables, or other crane parts contacting a live power line while in operation. The result is electrocution of the crane operator and any employees nearby. Accidents during assembly and disassembly. Cranes are transported to work sites in sections, and then assembled on site. The massive size of many cranes requires this type of sectioned transport. Cranes must be assembled correctly, following manufacturer specifications. Changes to the assembly or disassembly instructions can lead to a crane accident and injuries to workers and pedestrians. Boom Collapse. Cranes are capable of carrying very heavy loads and moving those loads a long distance from the operator station. The cranes boom – the long arm of the crane – is an engineering marvel of mechanical, hydraulic and structural components all working to keep the crane upright. Boom collapse is not common, but can be catastrophic. Crane Collapse. If a crane is overloaded and carrying weight beyond capacity, a crane can tip over and collapse. This can be caused by unstable or uneven ground conditions where the crane is anchored. Terry & Thweatt have handled many crane accident and construction worker injury cases. They have seen first-hand the devastation a catastrophic injury or wrongful death can have on a worker and their families. If you have lost a loved one in a crane accident, you can count on Terry & Thweatt for aggressive representation. Contact us to schedule a free consultation with an experienced Houston crane accident attorney. Terry & Thweatt is a Houston personal injury law firm. We pride ourselves on professionalism, integrity and experience. From the outset of our representation, each case undergoes a thorough examination from every angle to ensure a complete understanding of the facts. We then incorporate the facts of the case into the hard work of pursuing it with unparalleled zeal. 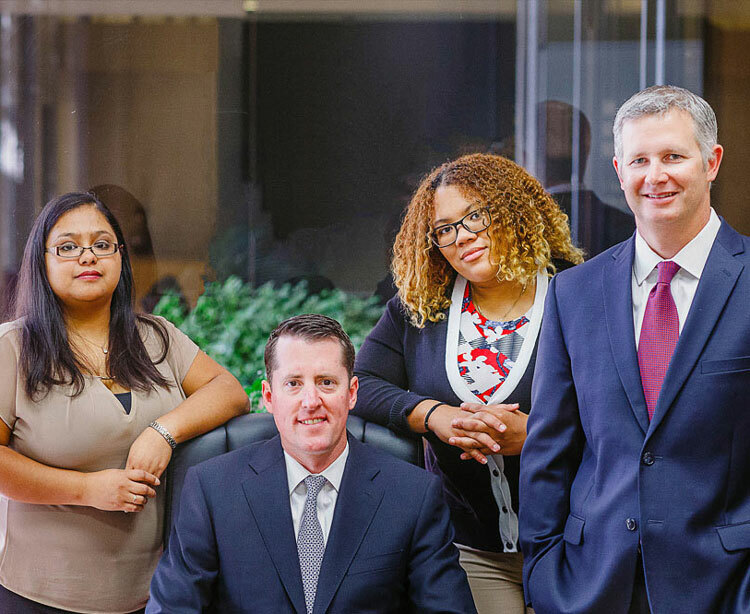 Our attorneys have backgrounds as varied as our clients, and the diversity of our collective experiences enables creative approaches to achieve success for our clients. Whether the case is a representing an offshore worker in a maritime personal injury case or a semi truck accident we go above and beyond what is expected in all facets of our representation. We are dedicated to providing personal attention to the client, possessing a detailed, working knowledge of the law. It is our commitment to outwork our opposition on each and every case. If you've been injured in an accident, it's important to discuss the facts of your case with an experienced attorney as soon as possible and find out what your legal options are. Contact us today for a free, confidential consultation and learn your rights.